Descendants of Adventist Pioneers Celebrate a Church Milestone in Upton, Wyoming » As you approach the Northeastern Wyoming town of Upton, you cannot miss a tall white tower with a slogan -- "The best town on earth." How do you explain this?" I asked Mike Dodd, church elder and well-known and respected townsman. "Here, everyone is friendly and we all help each other. We care for our neighbors," he said. Mike's comment about "caring for our neighbors" resonated with a comment made by Sam Happenstall, a former mayor of Upton who was among the first on June 4 to arrive and pay respects to the Upton Seventh-day Adventist congregation celebrating a 112th anniversary as one of the oldest Wyoming churches. The present church building dates back to 1960 and is referred to as "our new church." Prior to the current location, the congregation met in Arch Creek, some 15 miles out. It was a log cabin then, still standing on the original property. Originally, the Upton congregation was known as the Sheldon church, founded in 1904 through the preaching and personal work of J. H. Wheeler. Mike Dodd and other members who attended a special celebration Sabbath service recalled a few facts about the early days of the church when "Nebraska ranchers homesteaded in the area and "started a church for themselves to fellowship together. We are the descendants of those early pioneers," they explained. Historical records show that a church school was run by the Sheldon congregation. Church members also recall that years later, two Adventist doctors operated a medical clinic serving the community of Upton." The spirit of sharing the Adventist faith continues with the present Upton believers. 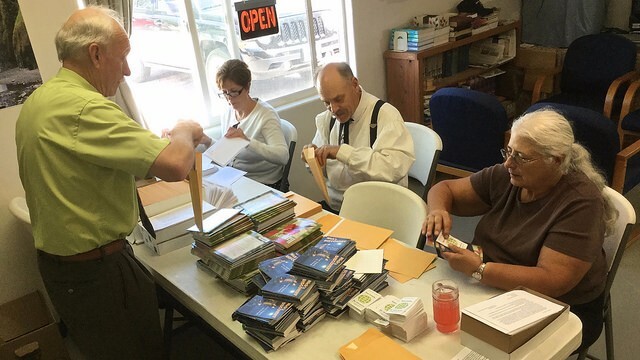 For several years, the church members met on a Sabbath afternoon to prepare their "Better Living with the Bible" outreach campaign by stuffing envelopes with Bible-based reading material, an invitation for Bible studies and a visit to church services, which they personally delivered to all the homes in the local county. "Last year, we prepared 875 packets and this year we will do the same," commented Howard Bogue, a church member who drives 35 miles every Sabbath from near-by Newcastle to the Upton church. Last year, along with his wife, Linda, they traveled more than 200 miles between the distant ranches in one part of the county. Together with the Dodds and two other teams, they covered the whole county in about four or five Sabbaths, they explained. We are sowing the seeds and the Lord takes over, they said. Howard Bogue commented, "I will say that today in 2016, our desire and goal for the Upton Church is not for another century on this old earth, but to soon be with Christ and those faithful who have been laid to rest before us who will be resurrected. We know He is able." In a letter to the Upton Church, which was read at the celebration, Ed Barnett, president of the Rocky Mountain Conference, noted the church's witness and resilience since the early days of the 20th century. Congratulating the Upton believers for "a job well done," Barnett said, "It is amazing to think our church in Upton got started way back . . . and it is still operating today. To have a church witnessing for [so many] years says something important about our brothers and sisters in Jesus who have made this possible. As with every faith community there have been good times and not-so-good times. Yet, with the spirit of the pioneers and your faith, it is a testimony to God's leading in your life and community. You have kept it going and we praise God for that." 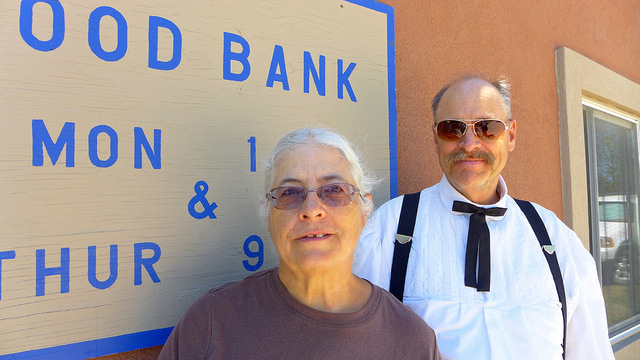 The church validates its claim to be a caring faith community by operating a food bank and a community center. Mike and his wife Nancy are fully engaged in getting the center well stocked and responsive to the needy individuals from the area. "We have 40 clients who are being helped," Mike explains. 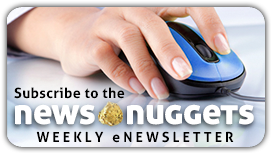 The economic downturn in Wyoming is challenging many families and individuals. "When the winter arrives, we will be busy assisting many more people from our community and others in need of help," he added. 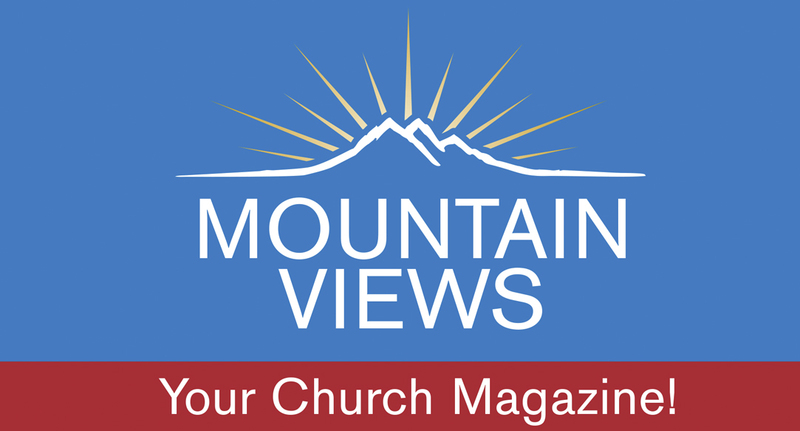 Experiencing God's Doing in Fort Lupton » What's the connection between a college football field and the Rocky Mountain Conference of Seventh-day Adventists [RMC] purchasing land on Timberline Road and Nancy Gray Avenue for a new grade school? Colorado State University's plans for building a new football stadium across the street from the former Beebe Christian School, currently residing on West Lake Street, influenced a godsend sale that aids the conference, the students, and Colorado State University. Beebe wasn't listed on any website or in any newspaper as land to be sold. Nevertheless, the calls came pouring in from several interested buyers, including a real estate company based in Wisconsin, said Daniel Birai, pastor of the Fort Collins Seventh-day Adventist Church. Additionally, a buyer from the local area wanting to also build student housing approached with an offer. The building of a new football stadium influenced the move, as the land would be beneficial for a college student apartment complex. "God has worked miracle after miracle," concluded Daniel. 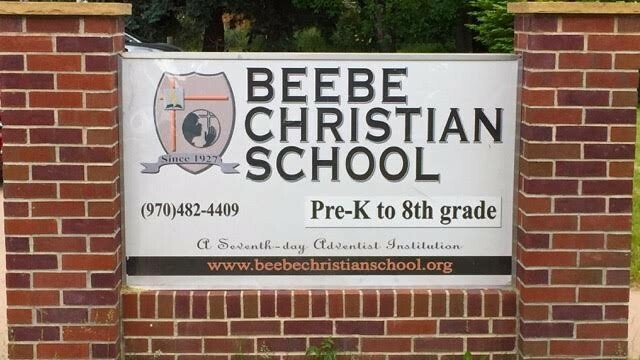 The Fort Collins Beebe Christian School, along with the RMC, desiring a less trafficked area with fewer potential consequences that only come in college neighborhoods, saw the offer as a blessing bestowed upon its students by the grace of God. 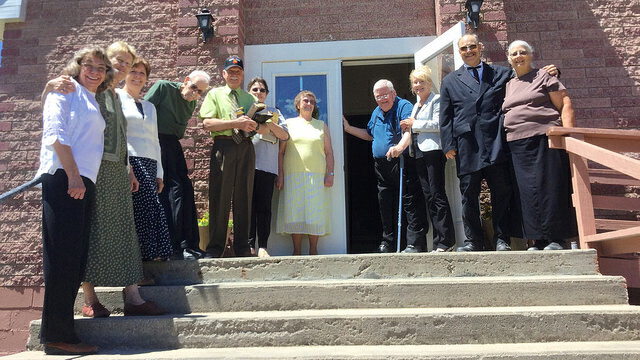 The sale culminated on June 1, and on June 2, the RMC purchased the new property from the proceeds of the sale. "In July of 2015, we were concerned as to how we were going to pay for the many needed repairs to an aging and deteriorating building when out of nowhere, and all within two weeks, we received multiple offers to purchase the school," shared Keiko Breese, who has taught for 14 years at the school. Through the sale of the Beebe grade school, God blessed the RMC with the proceeds enabling Fort Collins to build a new educational facility. And, added Keiko, "the sale of the school represents the greatest dollar per square foot amount ever recorded in Fort Collins." "There are multiple blessings in this sale," commented Barbara Parrott, director of property, trust and planned giving for the RMC. "God sent a buyer when the property was not listed and God enabled us to purchase this prime real estate for the new school campus." "'He knows what you need before you ask Him,'" Barbara added, referring to a statement by Ellen White from Adventist Youth. This is a demonstration of God answering prayers before we even knew we needed this help." The cool, thin air at Glacier View Ranch was thick with anticipation and excitement as the first group of campers lined up with their families outside the Long House to register. 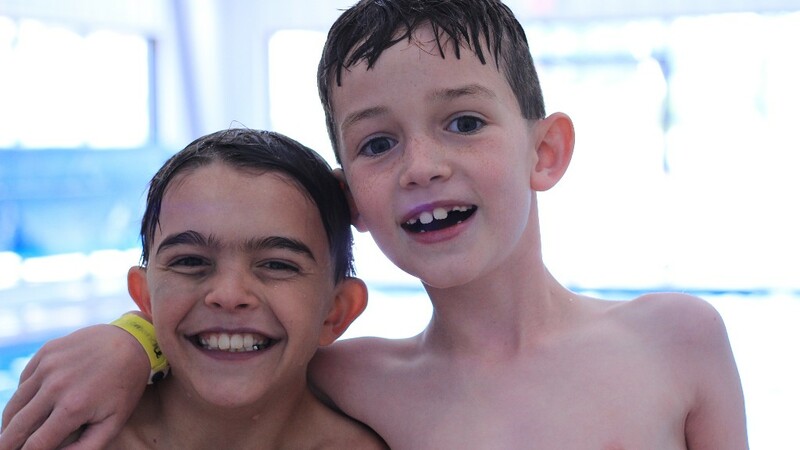 Over the next six weeks, more than 600 campers will spend a week breathing in the fresh mountain air while they ride horses, canoe in the lake, swim in the pool, climb the rocks, and learn about nature. They will laugh, play and eat together and worship the God who made them "flawless" in Jesus Christ, this year's camp theme. The sixteen-year partnership between the Rocky Mountain Conference Youth Department summer camp program and the five Adventist hospitals with Centura Health has taken on a new flavor. Centura has re-branded their friendship camp program (where they help sponsor the children of employees for a week at Glacier View Ranch summer camp) under the banner of the CREATION Health initiative. CREATION Health is the Adventist Health system's acronym for the eight natural principles for healthful living that have been part of the culture and message of Adventism since its early years. 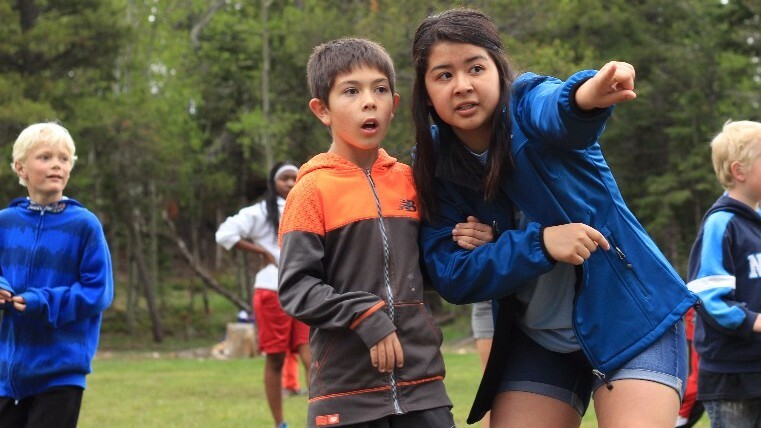 "It is a natural transition for the camp staff to connect these valuable life lessons to the programs and activities of camp," said Kirk King, coordinator of Centura CREATION Health friendship camps. "The campers are already learning and practicing the health principles throughout the week." This year, however, Ana Torres, camp program director, will be intentional about including these health lessons in skits and talks. The counselors will provide time each day for the campers to record in pictures and words what they learned about health that day on an activity sheet provided by Centura. Campers will take these activity sheets home and tell the story of their week to family through the lens of CREATION Health. "Our hope," said King, "is that the families will choose to adopt these principles in their family life." The back of every sheet gives information so that parents can obtain additional information about CREATION Health. When the campers leave at the end of each week, they are asked to stop by the Long House again to complete a survey. The survey helps camp leadership know what they might do to improve the camp experience for both campers and parents. Each year, the survey, along with conversations with campers and parents, demonstrates the value of this long-standing partnership. The past two years have shown that nearly two-thirds of campers did not come from Adventist homes. While the Centura scholarships will cover about 25 percent of this year's campers, many Centura employees and former employees who do not qualify still bring their children to Glacier View because of the quality care and programming they receive. Twenty percent of campers last year did not identify as belonging to any Christian fellowship and yet, when asked about the spiritual lessons, 90 percent loved them. "Counselors tell me every year that they love having the Centura campers because they get to have conversations about the Bible with children who, in many cases, have never heard the stories before," noted King. "Parents have shared their appreciation for the lessons their children have learned about God and about getting along with others. Several have learned how to deal with difficult relationships at school during their week at Glacier View Ranch summer camp. 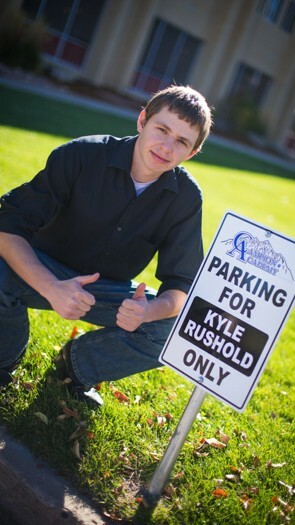 A Good Work Ethic Pays Off » "If I was ever being lazy [as a kid] my dad and brother would get after me until I did my job correctly the first time," says Kyle Rushold, recent graduate of Campion Academy and the school's first student to get his own parking spot. The work ethic instilled by his family paid off when he started working for the maintenance department at Campion after his sophomore year. When Kyle started his senior year, Plant Services director Glenn O'Halloran hired Kyle to be the student assistant, a position that requires supervision of as many as six students on the morning work crew. "When you work, you are rewarded by success -- usually with money," explains Glenn O'Halloran. Kyle did get paid a slightly higher wage, but the parking spot was part perk, part necessity since Kyle's position would often make him late for class or chapel. Kyle claims he doesn't know why he got his own parking spot, remaining humble about his responsibility. "I guess Mr. O'Halloran and Principal Reeder had the confidence in me for this position, which doesn't really qualify me, but gave me the confidence I needed for it." Paired with strong academics and spiritual emphasis is Campion Academy's work program. A long-time tradition of boarding academies, student employment fits in with Ellen White's counsel to teach students to work. Many work for the school or off-campus at Voice of Prophecy, HMS elementary school, a greenhouse, vet clinic, assisted living nursing home, Paleo snack kitchen, or as a literature evangelists, to name a few. O'Halloran hopes his student workers graduate with the skills necessary to walk on to their college campus and get a job with plant services. At least three students in the last two years have gotten such jobs at Union College. "They're not only becoming great students at Campion Academy, but great workers, too," says O'Halloran. 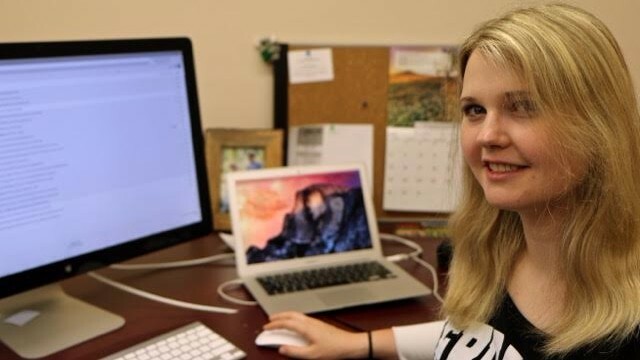 Summer Intern Joins RMC Communication Department » It's no surprise that Stefani Leeper is spending her summer as communication intern for the Rocky Mountain Conference. Past teachers encouraged her talent. And her writing bears witness to it. "I can see you being a great writer someday," said her high school English teacher in response to a story she wrote. "This has potential for publication," a college professor voiced after Stefani submitted a research paper on "Islamic Female Suicide Bombers." Their predictions were set in motion and several Adventist journals published her articles, including Mid-America's OUTLOOK, several Union College publications, including the Clocktower for which she served as lifestyle editor, Spectrum Magazine, Adventist Today, Insight magazine and the Collegiate Quarterly. Her journalistic skills were tested last summer when Stefani was chosen as an intern with Adventist Today for the General Conference Session in San Antonio, Texas. As part of an honors program at Union College, Stefani was one of 7 students who recently traveled to Hong Kong, Malaysia and China to study "wealth and poverty," Stefani explains. They were exploring the questions, "Are Christians doing enough to help the poor?" and "What are they [Christians] supposed to do?" The study tour concluded with a research paper on her findings at the Bambangan Seventh-day Adventist School. "My writing has become more concrete because of Dr. Cochran and Chris Blake (both professors at Union College)," comments Stefani. "They are very intense editors and they're willing to sit down and explain things." Dynalectric Charity Golf Tournament » Join us on Friday, June 17 for the Dynalectric Golf Tournament benefitting Rebuilding Together Metro Denver (RTMD) and ACS Community LIFT. Fossil Trace Golf Club, 6:30 a.m. Registration/Check-in Opens; 7:30 a.m. Shotgun Start. For sponsorship and registration, go to http://birdeasepro.com/DynalectricGolf. Second presentation begins after lunch. New Technology Aims to Reach the Curious for Jesus » ASI-member company IntelliPaper is partnering with the General Conference of Seventh-day Adventists in producing and distributing The Great Hope paper USB cards. The 3 x 4 cards fold to turn into USB drives. When they are plugged into a computer, they direct the users to The Great Hope website which has multiple formats to read or hear The Great Controversy. It can be read or heard online, downloaded, saved to a .pdf, printed, or put on a Kindle, iPad, or iPhone.For more information and to place an order, email [email protected] or call 509-343-9116 M-Th, 9-5 PT. Rocky Mountain Conference is looking to fill an opening for a Youth Ministries Assistant Director. This is a key, contributing role in the youth ministries program, overseeing primary aspects of summer camp as well as additional youth and young adult events and activities. There is a great deal of administrative responsibility that goes along with this role. Candidates must be highly organized, possess the ability to pay attention to detail, be self-motivated, able to keep on task and follow through. Most importantly, candidates must have a passion for connecting with youth, making it easy for them to know God. For more information regarding this position and to learn how to apply, please visit http://www.rmcsda.org/hr-assistantyouthdirector. To learn more about RMC's youth ministries, please visit http://rmcyouth.org/. Associate Director -- Media, Production & Programming: Do you think and dream in the visually creative space? The Voice of Prophecy is seeking a creative professional who desires to use their talents for soul-winning and evangelism. Prospective candidates should be proficient and experienced in many creative areas such as: print design, brand creation, web design, UX design, motion graphics, 3D graphics and presentation graphics. Proficiency in the areas of video production and photography a plus. June 7, 8 a.m. - 10:30 a.m.
June 14, 9:30 a.m. - 10:30 a.m.
June 15, 9:30 a.m. - 12:30 p.m.
July 5,, 8 a.m. - 10:30 a.m.